Pond water test strips. 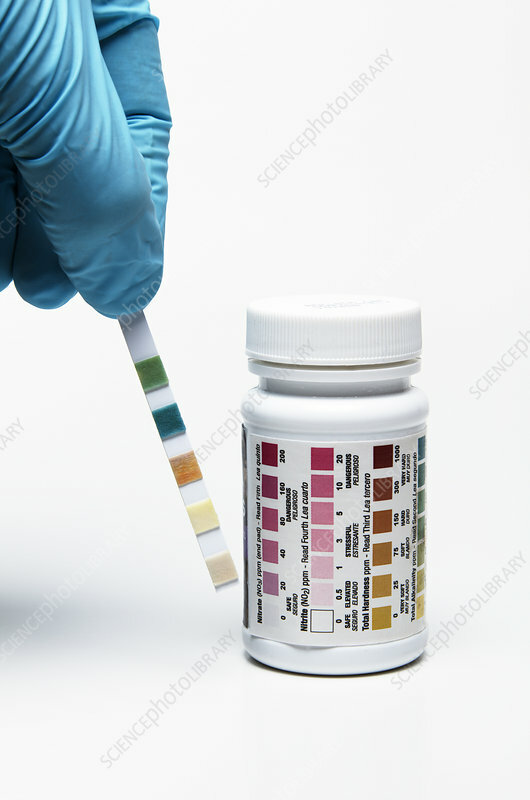 These strips can be used to measure pH, alkalinity, hardness, nitrite and nitrate in any type of water. After the strip is dipped in water, colours of individual pads are compared to the reference chart on the side of the container.